It is early spring and tulips are in bloom. Perennials are just starting to grow and the shrub roses are leafing out. 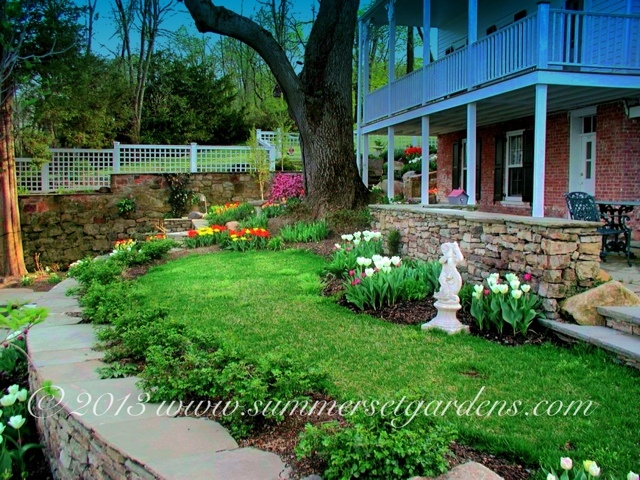 Weathered fieldstone has been for the retaining walls. Perennials will replace the tulips as they begin to fade later in the spring.